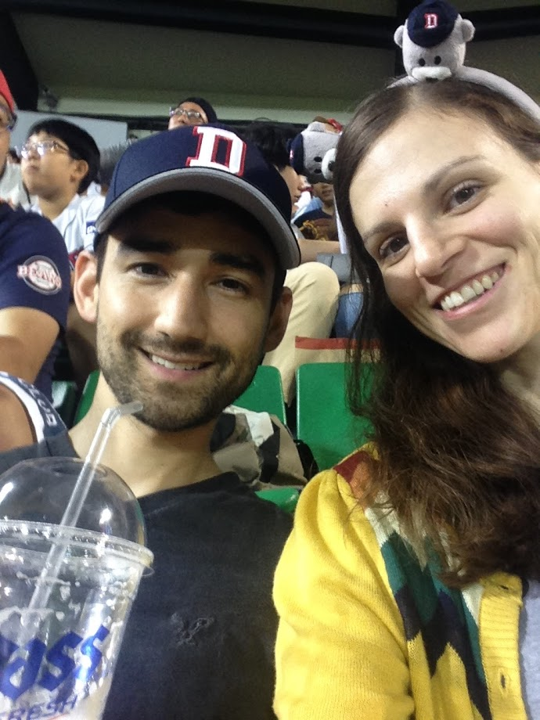 When my husband and I moved to Korea to teach English in June 2017, it wasn’t my first shebang. I’d lived there from 2012-2014 and fallen in love with the country. I moved back to the US to be closer to family; I had no idea then I’d fall in love and marry someone whose mom was Korean. My husband, Wayne, had heard me go on and on about how great my experience was in Korea, and it wasn’t long before he told me he wanted to teach there for a while, too! He thought it’d be a great opportunity to get in touch with his roots. I was ecstatic to hear this. 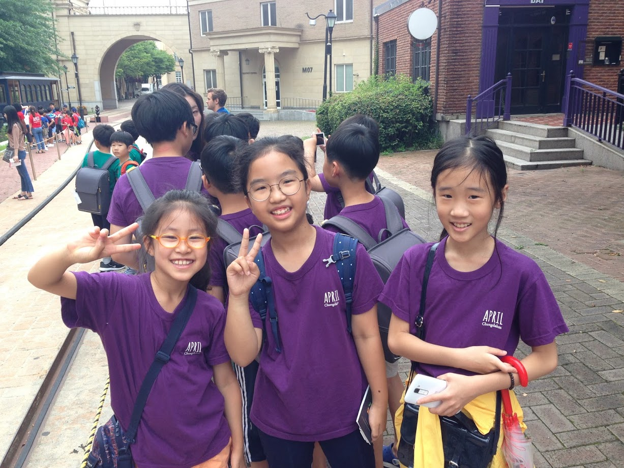 Having made a lot of English teacher friends in Korea the first time, I knew I wanted to work with Aclipse this time around to get a position working at a Chungdahm hagwon (tutoring center). All of my friends had talked about how easy it was to work with Aclipse. Also, importantly, none of them had any issues at Chungdahm getting paid on time (a big problem at some smaller, private hagwons) and their base pay was higher than most other hagwons. Wayne also really wanted to live near Seoul, where he still had some aunts and uncles. Since Chungdahm has such a wide network of hagwons throughout Korea, it seemed reasonable that Aclipse might be able to find us positions around Seoul. I contacted one of my friends who put me in touch with Colette, a recruiter with Aclipse. All Wayne and I had to do was send her a quick introductory email with our resumes. She got back to us immediately with lots of information about working for Chungdahm. 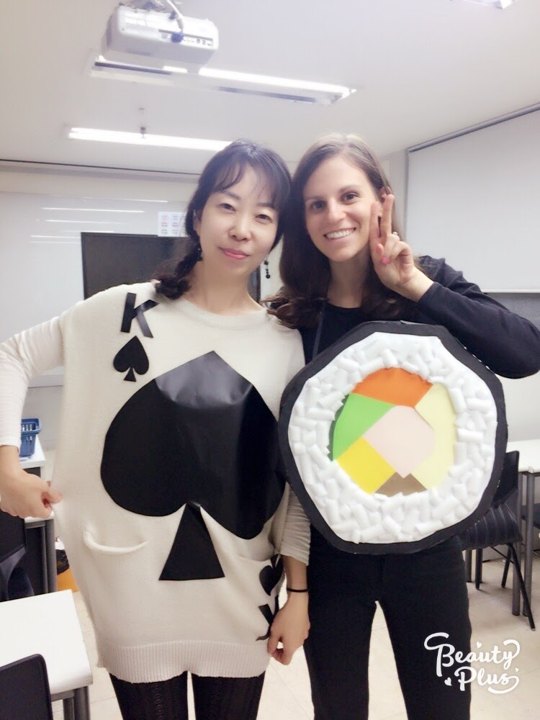 She let us know exactly what to expect about working in Korea. Through the whole process, Colette spelled out every step so clearly. We knew exactly what the next step should be, and she was always so quick to respond if we ever had any questions. As a couple wanting to live in or near Seoul, she also made sure we had reasonable expectations for how long we might have to wait to get offers at a suitable location. Wayne had never worked with kids before, so I was really happy we had a week of training right when we arrived. That, too, is something many other private hagwons don’t provide. It was really neat to see Wayne Husband grow into Wayne Teacher that week! As a former teacher, myself, I still appreciated the time I got to become acquainted with the curriculum and teaching methods. Wayne and I had the best time working for Chungdahm April in Bucheon. Every branch handles couples’ living situations differently, but we were so grateful how willing our branch was to work with us to make sure we were comfortable. Chungdahm (and Chungdahm April) has all of the daily lessons prepared, so I loved that Wayne and I had ample time to get to explore the country and culture. We also had a lot of time to hang out with friends we made, most of whom were coworkers who lived just a few seconds minutes walk away! Much of our socializing included game nights, going out to eat, and conversation exchanges with Korean friends. When a friend recently asked if I had any recommendations for applying to teach in Korea, it was a no brainer for me to recommend Aclipse to her. Wayne and I are so grateful for how smoothly working with both Aclipse and Chungdahm was. It wasn’t easy to leave Korea, but I am so grateful for the shared adventure Wayne and I had there. We definitely will be going back to visit as frequently as possible! Natalie is from Omaha, NE and attended a liberal arts college in Illinois for her undergrad degree. She majored in Global Perspectives and always had the travel bug. 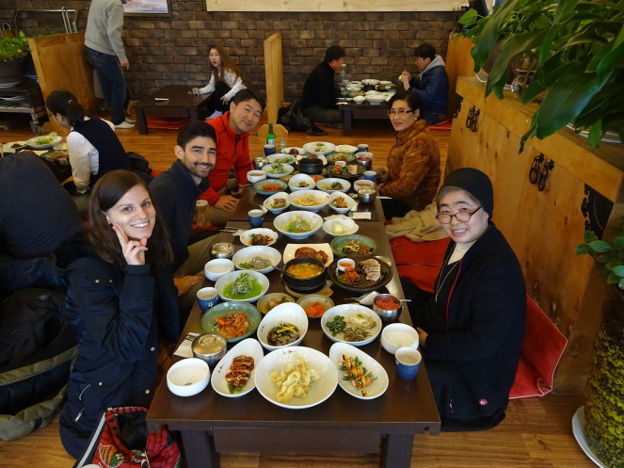 She considered lots of different countries to teach in after graduating college in 2012, but ultimately heard the best things about Korea. She loved the food, language, and people there and was thrilled to move there again from 2017-2018 with her husband.